Cerebral Palsy is a disorder that causes physical disability in human development. It affects the brain and the nervous system. Here Cerebral means area in the brain and palsy is complete or partial muscle paralysis. It is an abnormality in the part of brain that controls muscle function. It causes permanent movement problems. Muscle stiffness or floppiness, muscle weakness, random and uncontrolled body movements, balance and co-ordination problems. Some people with the condition may have communication and learning difficulties, although intelligence is often unaffected. 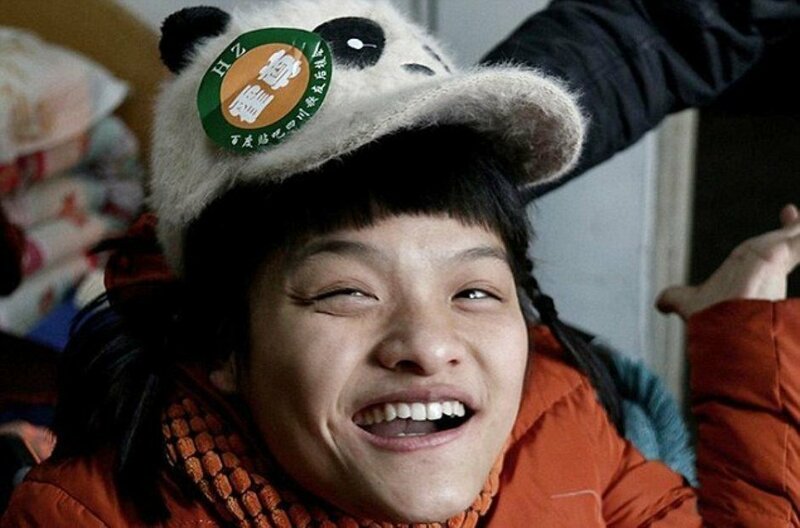 Hu Huiyuan, who lives the AnHui Province in China, was born prematurely. Doctors predicted that she would not survive. Her survival was a miracle but at 10 months of age, Hu was diagnosed with cerebral palsy. The only parts of the body which she can move are her head and feet. As she grew older, she has learnt to do her normal tasks with her feet. Now 21, Hu Huiyan has written a novel using her left foot. She has written more than 60,000 words using her toes. Hu Huiyan had a strong determination to learn. She comes from a community where even a normal child has to face difficulty in getting formal education. Hu Huiyan taught herself to read and write with the help of Television, by watching subtitles. Hu has never gone to school but speaks well. Her mother recalls that teaching her to speak involved lots of patience. Hu repeated every word taught 1000 times to get it perfect. It’s no easy job for Hu to type every single word on computer with only her foot. She has to target a key she wants, move her foot towards the keyboard and then press it down with strength. While she’s typing, her body is fastened to wheelchair with a belt to help her keep stable. Now experienced at typing with her toes, Hu can comfortably manage 20 to 30 words a minute and has finished the sixth chapter of the eight chapter book. Hu’s fiction is about the pursuit of dreams and love. After Huo Zun, a post-90s singer, read her story, he wrote her a letter and encouraged her to keep writing. Hu said she was inspired and touched. Numerous online readers have shown interest in Hu’s fiction and they often pitch ideas on how her story should end.